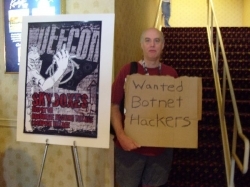 While Black Hat may be a celebration of the security industry, Defcon is a celebration of the hackers and script kiddies that make the security industry the industry that it is. 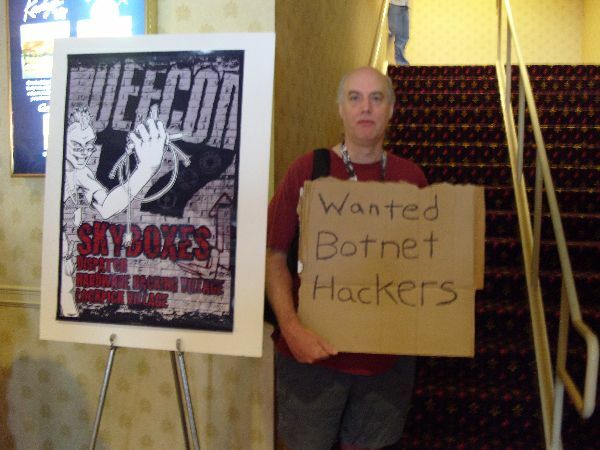 This is the 17th year that Defcon has been going on. Within the first 10 minutes of walking into the convention you can see someone with a packet sniffer up or someone attempting a MITM (Man in the Middle) attack. The wireless network at Defcon is like walking into a den of hungry lions wearing a suit made of prime rib. While the network may be the most hostile you’ve ever encountered, the people are far from it. The attendees are kind and always willing to strike up a conversation about the latest exploit, newest bit of tech or best security practices.